Today I had to run out to my local Superdrug and grab a few things. I'm afraid they are not very exciting but here is what I got. I picked up two so body sprays£1 each. One in so...? daring and one in so...? In love both are very sweet. I like having a couple of these in my locker at work and can't find my old ones so thought I'd grab these. Than a oh my gosh I need more sleep look. It has the same smell as the hot cloth cleanser from this range which I think is almost manly. 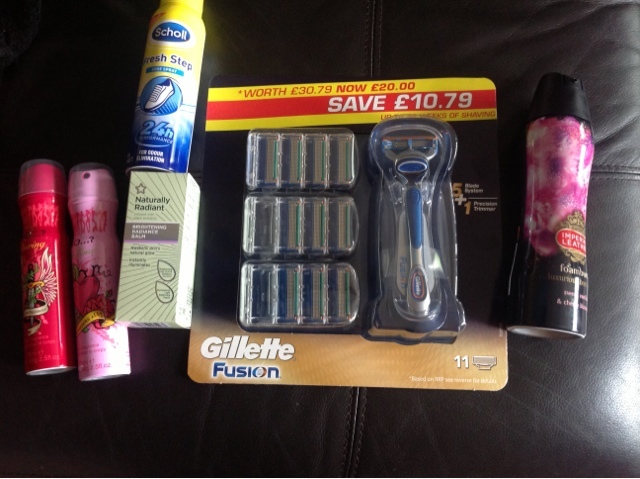 Gillette fusion 11 pack razor £20. I love using men's razor as I feel I get a better closer shave so I buy these Which I just love. And last but not least imperial leather foam burst in sweet vanilla and cherry blossom £2. I love these foam washes. They make me feel like a kid again. Plus the smell is lush. Have you got any hauls for me to read?